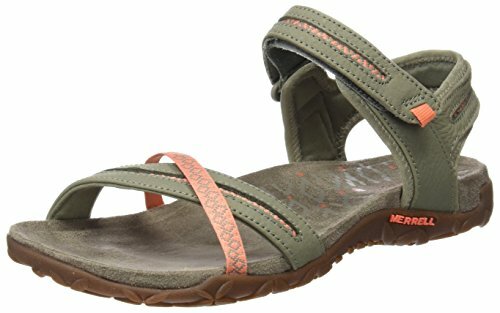 Merrell Women's Jacardia Strappy Sandals help align a woman's stride with Merrell QForm for better walking comfort Only from MerrellQForm; technology in this sandal aligns a woman's stride and makes the way you move more natural and more comfortable. 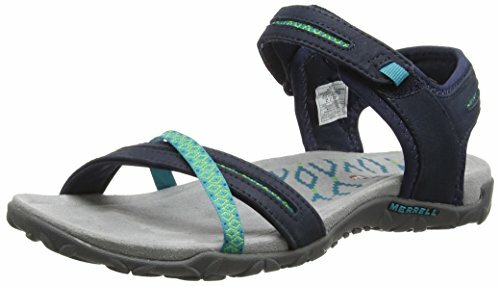 Plus, this warm-weather style provides arch support with a molded nylon shank, along with a Merrell air cushion in the heel for extra supportive cushioning. The microfiber-wrapped footbed feels soft to the touch. 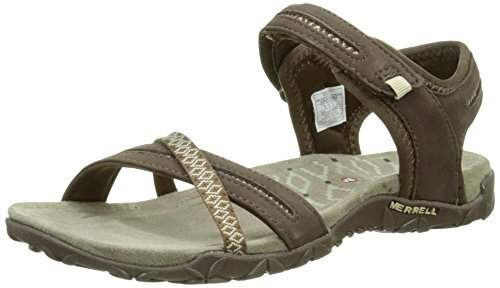 Slim nubuck leather and nylon webbing straps give feminine flair to a traditionally more rugged outdoor sandal. 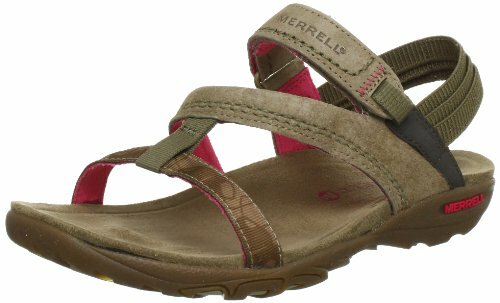 The Merrell Kahuna III is designed for adventures of an aquatic nature, allowing you to take your outdoor experiences anywhere you please. Foot conforming antimicrobial uppers wrap your feet in secure comfort for steep riverbanks and river side trails while a Technical traction guarantees you'll be able to stand tall no matter what the elements throw at you. Featuring a pig suede upper with hook and loop closure system for quick adjustability, the kahuna III is fitted with a Lycra neoprene lining that allows for padded comfort with Aegis antimicrobial solution treatment, reducing odour build up within the sandals and an External TPU heel stability arm that ensures a stable platform on uneven terrains. 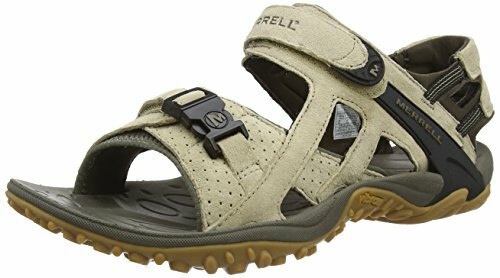 The midsoleof the kahuna III boasts Merrell air cushioning system in the heel for optimal shock absorption and stability with Vibram Chameleon Sport Sandal Sole/TC5+ Rubber outsole for floor fighting grip and durability. Nubuck leather upper. Lycra lining treated with M Select FRESH shoe odour control. M Select MOVE footbed with microfiber like finish. Nylon arch shank. M Select GRIP tunes each outsole with durable traction that grips when and where you need it. 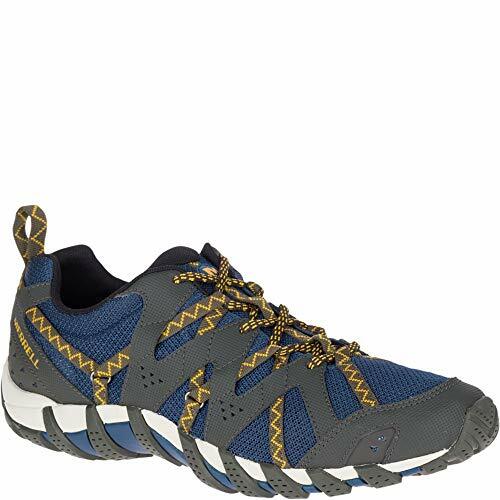 The fastest way to the top, this speed hiking shoe attacks terrain while allowing fluid, natural motion that responds to every contour for rapid agility. Featuring a mesh upper for ventilation and a Vibram outsole for traction, the All Out Blaze Aero delivers performance and functionality in equal aplomb. The upper of a walking shoe needs to do two things; be breathable without letting in debris and offer a stable, comfortable fit. The upper of the All Out Blaze does just this - and more. It features a breathable mesh lining treated with M Select FRESH which inhibits the build up of odour inducing bacteria to keep your feet feeling fresh and comfortable. For an improved fit, Merrell employs its own Omni-Fit lacing System which provides a precise, glove like fit. Further foot protection is gained by the inclusion of a bellows tongue which keeps out debris and detritus found off road. A moulded TPU heel counter adds stability and added protection against impact. The midsole and outsole of the All Out Blaze offers a combination of grip and cushioning, ideal for outdoor pursuits such as hikes. A Vibram outsole with Merrells M-Select GRIP provides traction and durability whilst a UniFly midsole provides cushioning on uneven terrain. 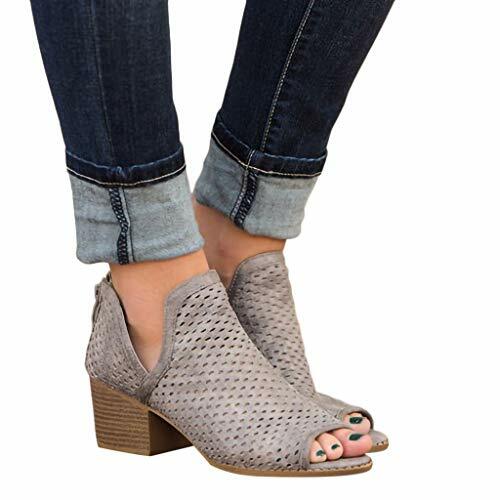 Stay light on your feet around town—without sacrificing style—thanks to the breathable stability of this athletic mesh mary jane. 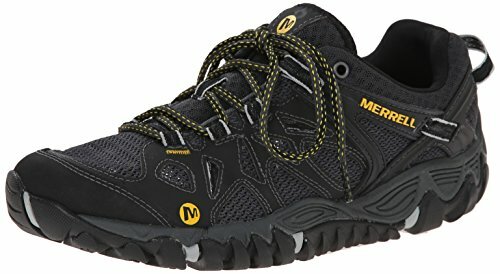 The durable construction and breathability comfort of the Merrell® Tetrex watershoe keeps you stable and supported both in and out of the water. Synthetic and textile upper. Stretch collar allows for easy on and off. Elastic cord and lock lacing system for quick secure fit. Breathable mesh lining. 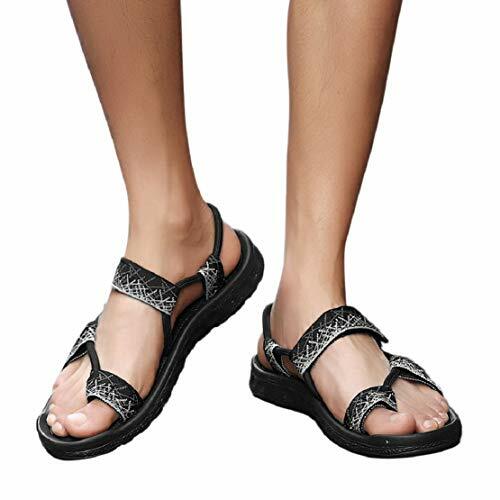 Recyclable footbed with lightweight cushioning for underfoot comfort and support. Cushioned EVA midsole provides added support and shock absorption. Durable rubber outsole with M Select™ WET GRIP sipped lugs for reliable traction both in and out of water. Sole features Hydramorph™ technology that channels water away from the foot and out of the shoe. Imported. Measurements: Weight: 10 oz Product measurements were taken using size 12, width M. Please note that measurements may vary by size. Weight of footwear is based on a single item, not a pair. 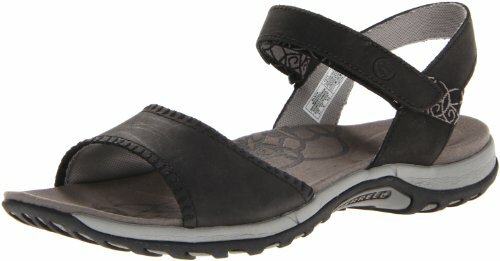 A breath of fresh air the Merrell Lorelei Emme walks the walk with refreshing style and function. 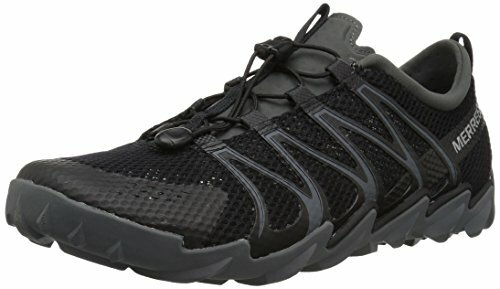 Flexible mesh and leather upper and stride specific Merrell QForm Comfort midsole creates total walking comfort. 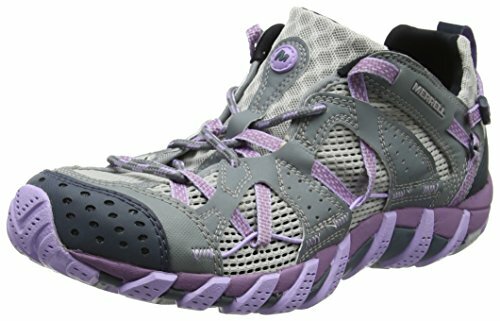 Be confident in your stride with the Merrell Lorelei Emme. Pig Suede and nylon webbing upper. Breathable mesh lining wicks to keep feet dry. M-Select FRESH naturally prevents odour before it starts for fresh smelling feet. Microfiber wrapped Remember Me Foam memory footbed. Moulded nylon arch shank. M-Select GRIP tunes each outsole with durable traction that grips when and where you need it. Women's Weight: 213g. 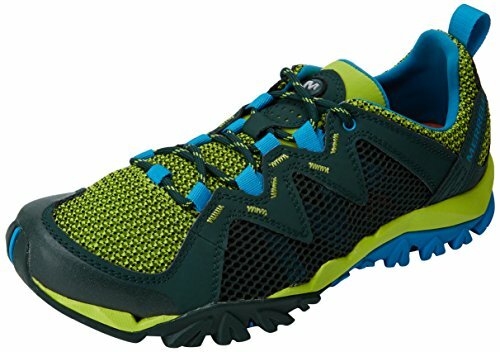 Men's MERRELL MOMENTOUS :: Explore more in your speedy Men's Merrell Momentous trail running shoes. Fear no dirt or debris with a protective, durable shoe built for darting off the beaten path a bit. Featuring Vibram MegaGrip for awesome traction and durability on both wet and dry surfaces, your Momentous is ready for adventure when you are. This hydro-hiker, built for the wettest conditions, offers maximum breathability to keep you stable and comfortable as you cruise through climbs. 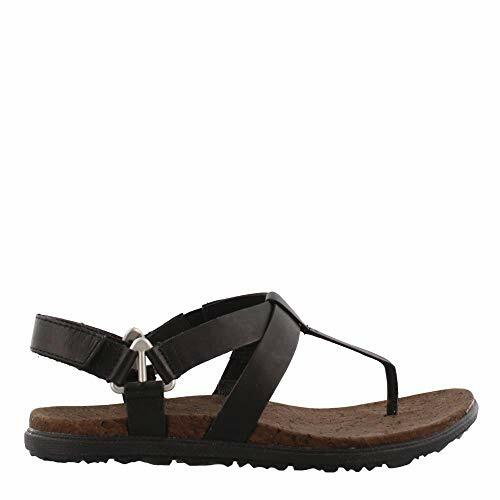 A waterproof PU coated leather upper and a Vibram outsole combine to create the All Out Blaze Sieve Walking Sandals. 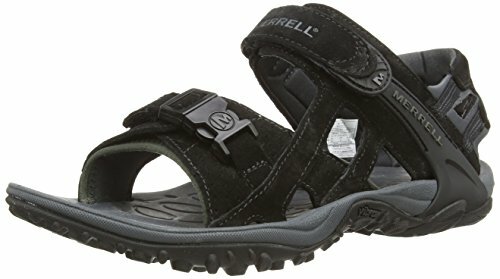 This combination provides the wearer with the confidence to take on whatever the outdoors throws at them, weather it be hot dusty trails or rocky streams. Perfect for warm weather hikes, the Merrell All Out Sieve features a waterproof PU coated leather upper so you can wade through streams in complete confidence. For slippery surfaces when you need extra grip a Vibram TC5+ outsole with 3mm lug depth provides excellent traction and durability. Hook and loop velcro strap closures round the heel and forefoot allows easy on and off as well as ensuring a precise fit. 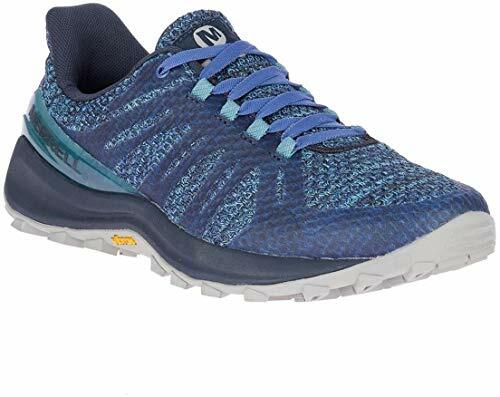 These Waterpro Maipo shoes from Merrell feature synthetic leather and mesh upper. They also feature lycra and neoprene stretch collar for easy on and off along with injection moulded tpu rear foot stabilizer and synthetic leather toe bumper protection. Merrell air cushion in the heel absorbs shock and adds stability. You take it to the water's edge in your life, and with these on your feet, you'll be solid seeking out adventures with an aquatic nature. 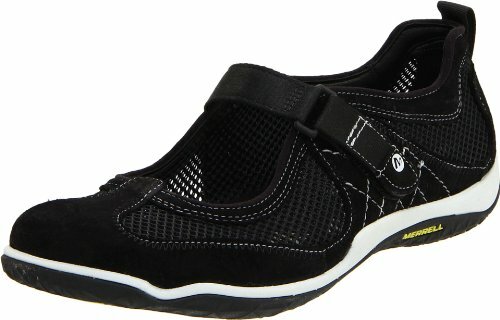 Foot conforming, antimicrobial uppers wrap your feet in secure comfort for steep riverbanks and creekside trails. Technical traction guarantees you'll be the last one standing, come hill or high water.. Pig suede upper. Hook and loop closure system for quick adjustability. Lycra neoprene lining for padded comfort treated with Aegis antimicrobial solution. External TPU heel stability arm. Merrell air cushion in the heel absorbs shock and adds stability. 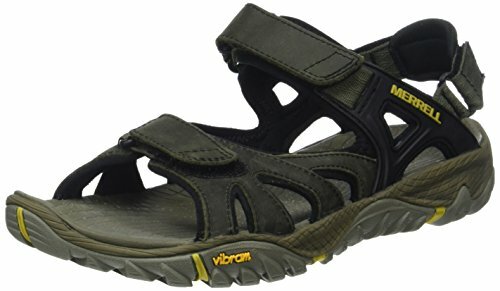 Vibram Chameleon Sport Sandal Sole/TC5+ Rubber. Weight: 340g.